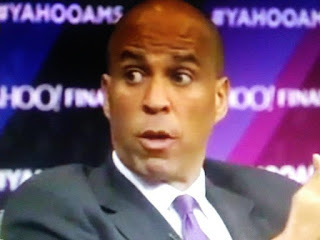 If it wasn't for the mainstream media propping up this imposter the same way it propped up Barack Obama, Corey Booker would be seen for what he is, a joke! There's nothing about this man that is genuine. Tucker Carlson said it best when describing Booker as , "…a man so oily he qualifies as an alternative fuel." Yet Corey thinks he has the goods to run for president. That assessment screams in want of a psychiatric evaluation. For when the inseam is passed off as normal, the world really has become crazy town.